Fogo Island's economic nutrition labels let consumers know exactly where their cash ends up after a purchase. Have you ever wondered about the purpose of money? 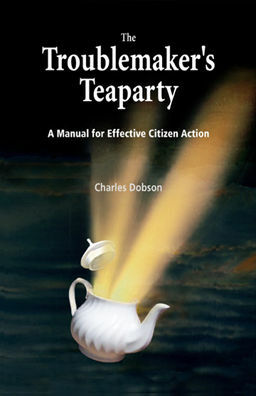 And more importantly, how we can make it serve our communities better? Our lives as consumers are filled with almost infinite choices. We are presented with a multitude of options – brands, styles, colours, features and functions. Yet, the most vital information we need to inform our purchasing decisions is entirely missing – where does the money go? It's very difficult to know where our money goes when it leaves our hands – and specifically, who it benefits. This "follow the money" information is critical to real and meaningful choices – it allows us to buy products that are in line with our values. The flows and beneficiaries of financial capital have become increasingly opaque. The "local" companies and shops that we patronize in our neighbourhoods are less often owned by the family down the street and more often owned by other companies, which are in turn owned by a conglomerate. It is getting harder to understand who and what is benefiting from our purchases. And as the tangle of ownership has become far removed from peoples' lives, we are left feeling increasingly powerless to affect the economic system. It's hard to see how an individual can play a role in building a different kind of economy. We need a new language and new tools to help widen the field of economic possibility – to help us become a different kind of consumer; to help us see how our financial decisions influence our social realities; to help us take responsibility for our purchasing decisions. 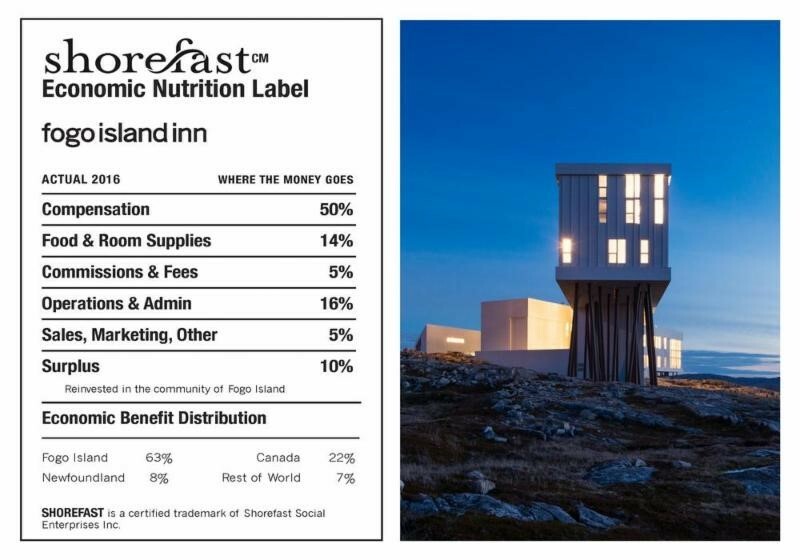 On Fogo Island, Nfld., Shorefast (a registered charity) has developed such a tool – we call it an economic nutrition label. Borrowing from the nutrition information found on food packaging, we developed these labels for use in the social businesses we founded on the island, each working to add more economic legs to this centuries-old fishing community. All products and services offered for sale by our social businesses come with this Shorefast economic nutrition label, which shows prospective purchasers where their money goes and how much is spent locally. In an example from the Fogo Island Shop, the price of a Puppy table is broken down into the percentage of costs (such as labour, materials, design etc.) and surplus or profit. As a social business, our pricing is designed to return a 15-per-cent surplus to Shorefast for reinvestment in the community of Fogo Island. The label also shows the geographic distribution of the economic benefit of a purchase. Taking a page from economist E.F. Schumacher, we try to see the world as a whole and our place as a part of that whole. We have found the cauliflower to be a surprisingly effective metaphorical tool to aid in holistic thinking: Each place, each community in the world is a floret on the cauliflower, and the economy is part of the stem – the connective tissue that binds the florets together. The economic benefit, the economic nutrition, that flows through the stem needs to make its way to the florets with a minimum of leakage. Deprived of economic nutrition, the florets wither and die. Economic nutrition labels contribute to helping florets receive proper nutrition by helping prospective purchasers understand how the purchasing choices they make contribute to the places and things they value. Our Shorefast economic nutrition labelling practice, and indeed our entire set of projects on Fogo Island, started with a simple question: What are we trying to accomplish? For us, the answer is the well being of community and place. We believe that this is what money is supposed to do – strengthen community and place. We're proud to show that most of the money spent with our social businesses (Fogo Island Inn, Fogo Island Shop and Fogo Island Fish) stays on Fogo Island. This money is helping make our community stronger. That's what money is for.